Some years ago, I cleaned out a lot of my books, particularly cartoon collections. Rereading them before the sale made it easy to sell off Bloom County and Doonesbury. They were dated and a lot of the humor didn't hold up. 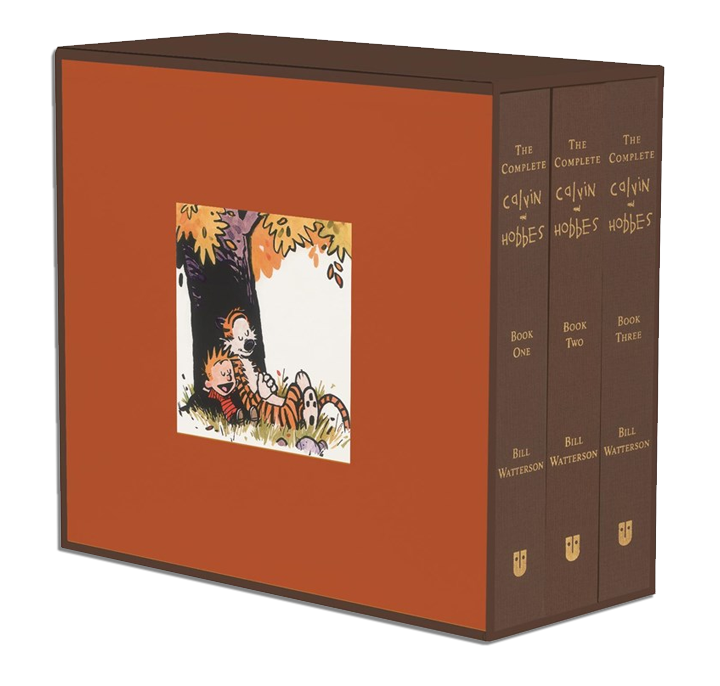 Calvin and Hobbes, on the other hand, I kept. Waterson created a magical world indeed. To this day whenever I have trouble expressing myself about anything, I go dig up the appropriate C&H comic. Because no matter what concept it is, C&H has it covered, and always expressed elegantly. Only true comedy can do that. I, too, am guilty of buying this as a gift for my husband many christmases ago. Really, it was for me. The biggest blessing was how both of my children were hooked immediately. It has been re-read many times and is a go to for everyone in the family when they need a bit of magic.